A "SOFT" penalty awarded to Highlanders on the stroke of fulltime almost caused the abandonment of yesterday's Bulawayo derby after How Mine coach Kelvin Kaindu called his players off the field of play at Barbourfields Stadium. Kaindu was incensed by referee Philani Ncube's decision to point to the penalty spot after far side assistant referee Faith Mloyi adjudged that the gold miners' defender Kudzai Chideu had pushed Highlanders' striker Ralph Matema in an off the ball incident inside the box. Ncube flashed a second yellow card to How Mine defender Frank Makarati and eventually expelled him after he kept protesting the penalty decision. Kaindu then called his players off the field resulting in a four-minute stoppage. They only returned to the field after the intervention of How Mine chairman Paul McAndrew. Simon Munawa converted the spot kick, sending How Mine goalkeeper Munyaradzi Diya the wrong way. "For the first time in my career I told my players to walk off. I was ready to be punished and cause the abandonment of the game had management not intervened. I don't like to comment about match officials, but this game could have been abandoned. Referees need to be professional," fumed Kaindu. His Highlanders counterpart Erol Akbay hardly celebrated the victory, saying: "I'm happy with the three points, but that was a cheap penalty. I understand why the How Mine coach was mad." Bosso went into the match smarting from an embarrassing 3-0 demolition by Hwange and Akbay recalled veteran goalkeeper Ariel Sibanda into his starting 11 in place of Nedrick Madeya, who was not even in the match day squad. Sibanda was called into action in the 14th minute when he tipped Adolf Muganyi's effort over the bar for a corner kick. The effort was the closest the miners came to scoring despite forcing four corners in a short period. Bosso's first effort came in the 20th minute when a free kick curled in by Manawa was saved by Diya. Both sides went on to struggle to create clear goal scoring opportunities as the half wore on. Aiming to add more attacking potency, How Mine made an early substitution bringing in Timothy January for youngster Tanaka Chanengeta, who was having a difficult afternoon. Bosso responded with a substitution of their own, bringing in King Nadolo for Ray Lunga. Mathema almost opened the scoring just before the break, but his diving header off a Gabriel Nyoni cross went a few inches over the bar. The second half was a livelier affair with both teams producing some great end to end action. Peter "Rio" Moyo should have opened the scoring in the 54th minute, but he shockingly sent his effort wide from inside the box. On the other end Rahman Kutsanzira missed an empty net after Nyoni, who was giving How Mine right wing back Tsepo Ranthokoane a torrid time, fed him an inch perfect cross inside the box. The midfielder skied his effort over the bar. Both sides would take turns to squander goal scoring opportunities late into the game. 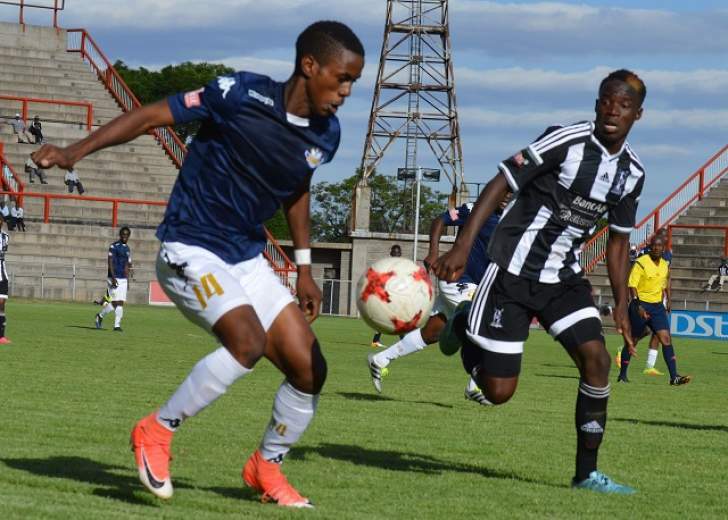 In the end, Bosso would claim all three points.